WELCOME TO FORSYTH! YOU HAVE NEVER SEEN A CAMPUS LIKE THIS! One of your visits to Forsyth should be a school day personal tour with Director of Admission DeAnn Pomatto. 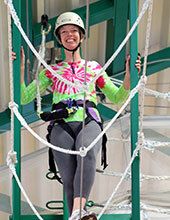 [That's Mrs. Pomatto at left on the high ropes course in the Forsyth Adventure Center!] 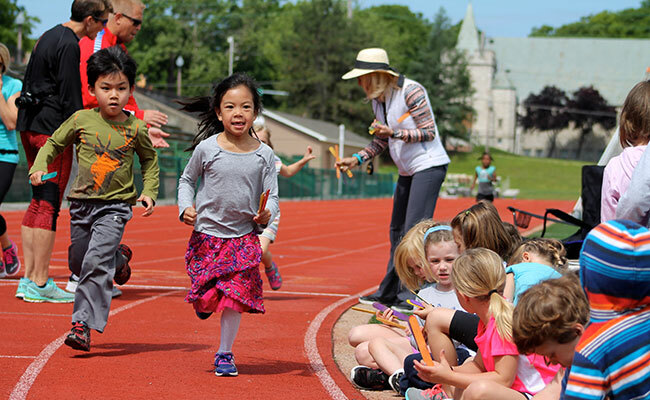 On a school day tour, you’ll see the center of campus - our playgrounds teeming with activities and energy - P.E. classes, science classes, our unique library, and more. Tour our one-of-a-kind campus and see the classrooms in full swing with teachers and students engaged in active learning. Come for a personal tour, and find out what Forsyth has to offer. >> Meet DeAnn Pomatto, Director of Admission at Forsyth School. Whatever your schedule might permit, we’d love to meet your family. Contact Director of Admission, DeAnn Pomatto, at Admission@ForsythOnline.com or 314.726.4542 for more information or to schedule your tour of Forsyth School. Fall Open House is a festive and casual event for the entire family. What makes Forsyth unique? See for yourself at our Fall Open House. 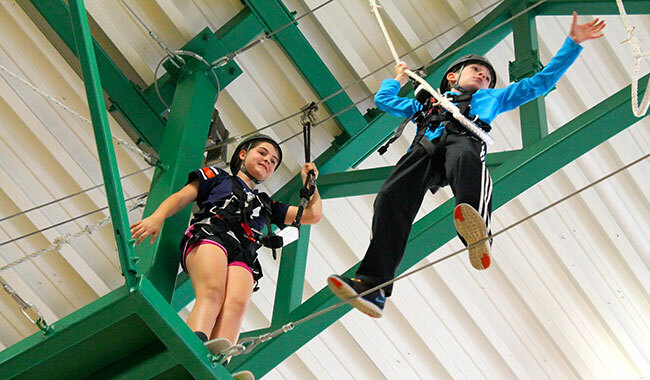 Tour campus, meet School administrators and teachers, chat with current parents, visit classrooms, and see the high ropes course in the Adventure Center in action. From 3:00-5:00p, our Forsyth 6th graders will be giving campus tours (childcare available during this time). From 5:00-6:00p, families are invited to play on our playgrounds and enjoy an early picnic dinner (grilled hot dogs, lemonade, and cookies provided!). Fall Open House is a festive and casual event for the entire family. Park in the lot just east of Forsyth School's main entrance at 6235 Wydown Blvd. Park & enter campus here for this event. What happens during the school day for Forsyth’s youngest students in Pre-K – Senior-K, the 3- to 6-year olds? Please join us in Fillmore House, Forsyth’s early childhood center, on Saturday, January 12 at 9:30a to get the scoop. Meet the teachers in their classrooms, and bring your questions. Children are welcome, and we’ll have some of our terrific Extended Day staff on hand to make the kids’ visit fun. Park on Forsyth School’s Forsyth Blvd parking lots in front of 6224, 6226 & 6244 Forsyth Blvd. Park & enter campus here for this event. Looking for something different to do with your child on the weekend? Here’s a perfect Saturday morning activity for young children (age 3-6) with a parent. 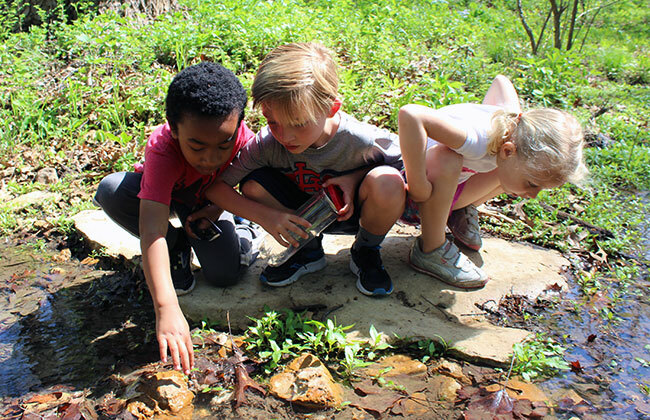 Science Saturdays at Forsyth combine stories and science activities in Forsyth's Early Childhood Center. Activities will be led by Forsyth science teachers, and everyone will have science-inspired fun! Weather permitting, we invite you to stay and play on our playgrounds. Questions?